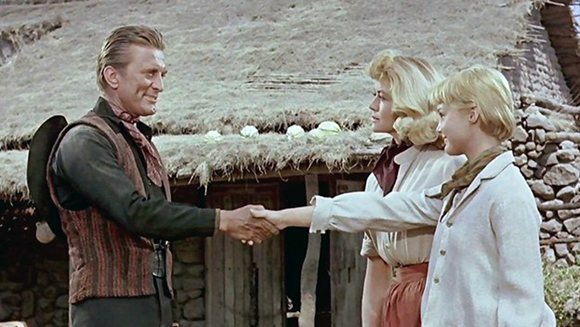 THE LAST SUNSET—–“God has a special love for drunks and fools–and children like you.” Kirk Douglas lays that morsel on Carol Lynley during a cattle drive, and that ought to give you an idea of the heavy tone in this 1961 oater. 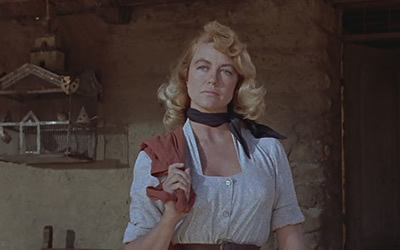 The pretension is so thick in this chuckwagon you need a branding iron to burn through it, thanks to the melodramatic situations and ripe-cantaloupe dialogue from scenarist Dalton Trumbo and the ker-thud direction by Robert Aldrich. Does anyone foresee a conflict of Sinterest? Dot and Kirk used to put in haystack time and she’s so wanton with lust she practically climaxes every time he looks at her (I hate facing this problem, as a simple trip to Safeway becomes an ordeal). Eighteen-year-old nymphet-of-the-hour Lynley (aka ‘Missy Breckenridge’—ostensibly the kind of girl and name you’d hope to find in the swimming pool next door when you were fifteen)— hopes to snare Kirk for her own blouse-gnawing. 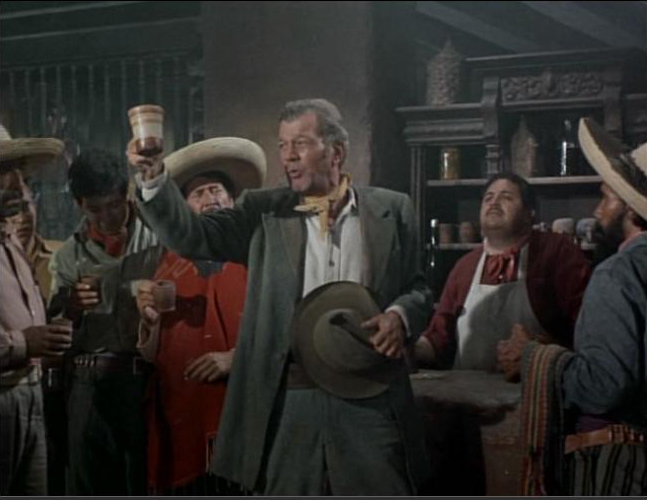 Rock just wants to Kirk to ‘pay’, and… well, if he can divert Belle between sandstorms than so be it. Red River meets Ryans Hope. 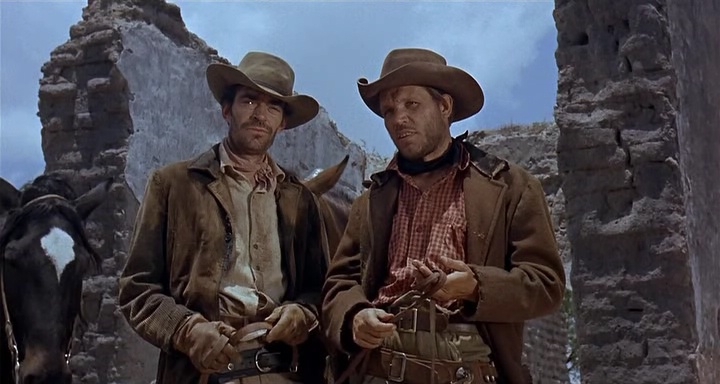 Neville Brand and Regis Toomey add grizzle, Adam Williams and Jack Elam show up long enough to get ventilated. The watchable, forgettable pulp was another shoot featuring ego-clashes, on-location sickness and frisky cattle ruining shot after shot because of their blithe cow-coupling conduct. The troubles figure humorously in the memoirs of both Douglas and Cotten. Costing $3,000,000 to make, it came in 28th among the years moneymakers, grossing $7,900,000. Camp value and star gazing suffices for a viewing.